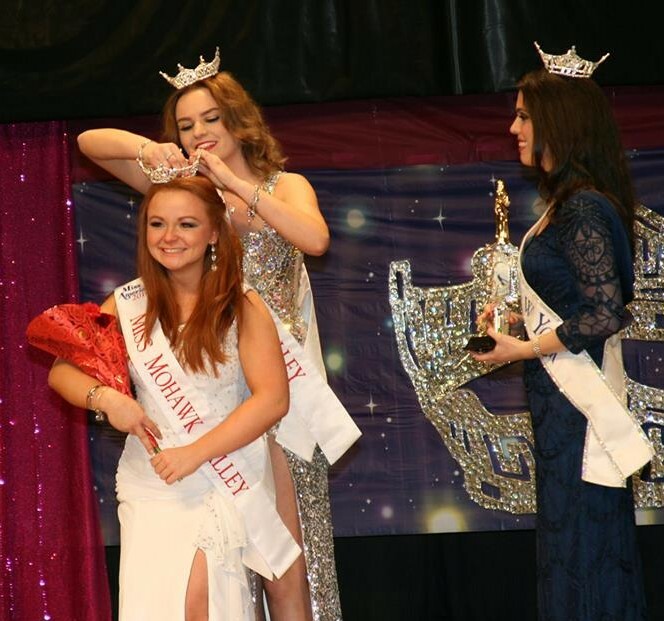 Lauren never thought she would enjoy pageants, until by a fluke, Kieren Sheridan pressured her into entering the Miss Fonda Fair pageant, and she won. She soon learned that Miss America is not a beauty contest, but is a reward system for young women. These women are active in their communities, and make an impact in the lives they touch. Now that Lauren is on her way to Miss New York, she stays busy juggling jobs and being active in the community. As far as she’s concerned, she’s already a winner because she gets to make a positive impact in her community. She stays up to date with current events, stays in shape with healthy eating and exercise, and lives to be a successful, well-educated, philanthropic young woman. She is often times working on her personal platform, and manages most of her own appearances. Even if she isn’t in a school speaking to youth, she is actively pursuing changes that promote equality in schools. That is what her platform is all about: Helping Students Thrive: Lets Make it EASY. Its no secret that bullying is rampant in schools, and there are initiatives to stop it. But how much of these anti-bullying techniques specifically target LGBT (lesbian, gay, bisexual, transgender) youth? Throughout her year, Lauren is working hard to provide safe and welcoming learning environments for every student, regardless of their sexual orientation or gender identity. She is not fundraising to support third-party groups to go out and fix the damaged education system, she is doing it herself. She has been to seminars and workshops to learn the best approaches to these problems. She has been to both the state and nation’s capitol to lobby politicians and support laws in the favor of LGBT youth, such as the Safe Schools Improvement Act and the Student Non-Discrimination Act. Lauren is working with schools across the Mohawk Valley to create safe space training programs, build youth groups, and increase awareness and advocacy. Recently she volunteered at Equality & Justice Day, the largest state-wide gathering of equal rights. Here, in addition to checking in students from across the state, and some from other states, handing out maps, and organizing attendees, she was able to speak with legislators about some very important acts, like GENDA (Gender Non-Discrimination Act) and an act that bans conversion therapy in minors. While at the rally, a local news reporter saw her crown and asked her for an interview about the Miss NY/Miss America Organization, her goals, and accomplishments. She hopes that the Miss NY crown will have even more power, and be able to pass these laws and in turn positively effect youth across the state. With all this active involvement in the community, it would seem that Lauren’s favorite phase of competition would be interview- so she could talk about all she’s done so far, and plans to do. But instead, she loves the lifestyle and fitness phase most of all. She is confident in her physical health and figure, and wants to showcase her figure to the audience, because she proves that a girl can be short and muscular and still be healthy and look good in a bikini. Any young woman can compete in the Miss America Organization if that’s what she wants to do. The whole experience is one to learn and grow from, so she shouldn’t worry if she doesn’t think she could “ever win.” Winning isn’t everything and shouldn’t be everything. Take the time to research and develop a personal platform and go from there. Begin making healthy choices with food and exercise. Start reading the news and try your best in school and at work. Set goals to be the best YOU there is. Along that process, sign up for an MAO local because it will give you more motivation to work hard in those goals, and who knows—maybe you’ll be rewarded by a crown and sash. Worst case scenario? You grow and develop as a human being. Lauren is passionate about her platform, and doesn’t let a controversial topic keep her from promoting it. She knows that she can be the girl next door that people can relate to, yet a role-model they can look up to. This leads her to be a fantastic candidate for Miss America. Plus, it has been far too long since there has been a red headed Miss America, and New York likes breaking expectations and stereotypes at Miss America. Regardless of how she does at the state pageant, Lauren has grown and will continue to grow from the Organization. She hopes to serve on the Board of Directors one day, so she can continue to give as she has received so much.